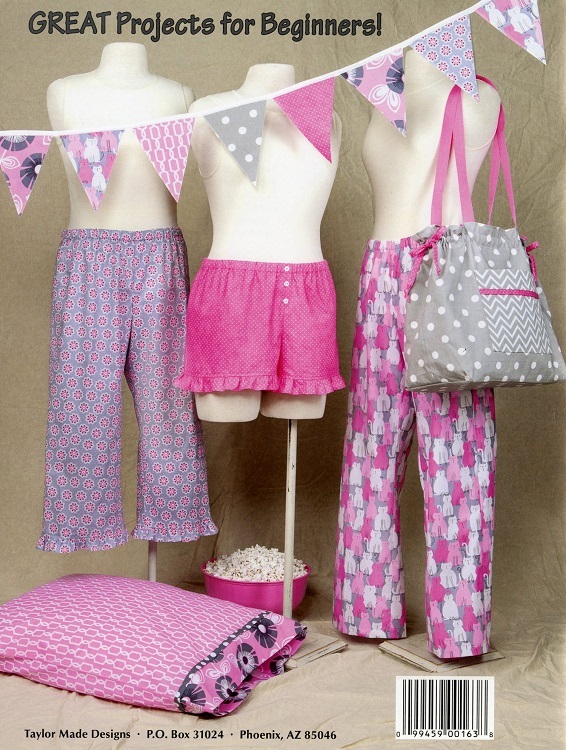 Every night feels like a slumber party when you are wearing a pair of pajama pants made from your favorite fabric. A great project for the beginner sewer and the seasoned veteran alike. Variations include long or Capri length, with or without pockets, elastic waist or a combo of elastic and tie waist. Also includes patterns for matching pillowcases, a great tote bag and bracelets to share with friends.